As simple as it can get - a no frills design. Genuine black color cow hide. Sporty raw edges and contrast stitching. Card stack and ID window inside. Pad insertion slot & pen loop. Can be customized fully as per your needs & budget. 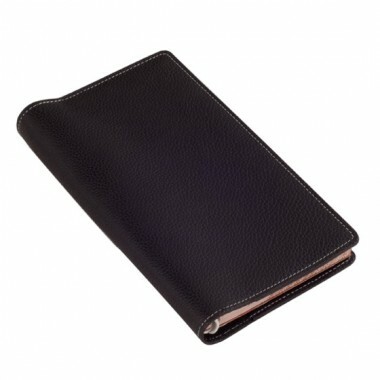 Black leather pocket jotter. Simple in design and construction for the unobstructive mind. Durable premium genuine leather with a sporty raw edge construction. 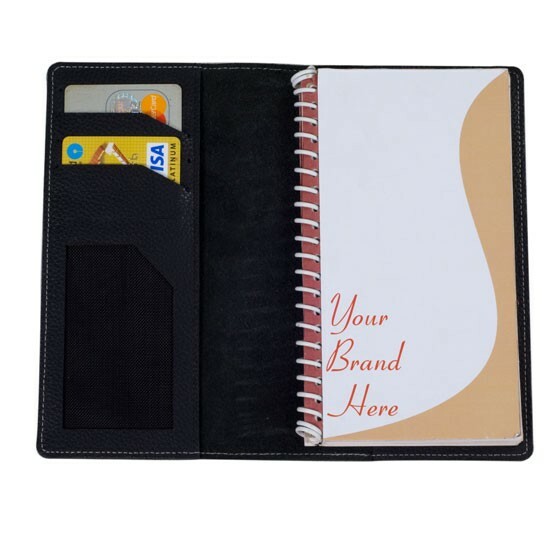 This inexpensive pocket jotter also has card slack on the inside. Full freedom to customize the product to meet your campaign objective and budget, size, profile and inside design can be modified.